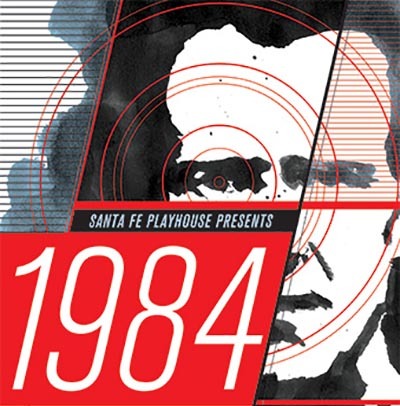 1984, by George Orwell, play adapted by Robert Owens, et al. Tyranny, oppression and the loss of individuality are the terrifying reality of Orwell’s dystopian society. When it seems like there is no way out and people are being watched every second, even being forced to speak a new language limiting thought and emotion, it is up to at least one person to go against the system and dare to feel again. Julia and Winston do just that. Raised by the Party and working in the department of records which alters the past to fit the ideal future, Winston has a hatred for the oligarchy. He believes in actual truth, in an unchangeable past, in love and ideas. He believes there are others like him. In this original adaptation of Orwell’s novel, we experience his surprisingly accurate words forewarning a digitized and heartless society. David Anderson, Myriah Duda, Tallis Geohegan-Friefeld, Freedom Hopkins, Vaughn Irving, Katie Johnson, Libby King-Miller, Stephen Rommel, Sarah Runyan, Marguerite Louise Scott, Hania Stocker, Lulu Sulich, Tristan Van Cleave. Sunday • April 2 • 2:00 p.m.
Thursday • April 6 • 7:30 p.m.
Friday • April 7 • 7:30 p.m.
Saturday • April 8 • 7:30 p.m.
Sunday April 9 • 2:00 p.m.
Thursday • April 13 • 7:30 p.m.
Friday • April 14 • 7:30 p.m.
Saturday • April 15 • 7:30 p.m.
Sunday April 16 • 2:00 p.m.